The manager of $106 bln in alternative assets is going to pay U.S. corporate tax rather than elect for partnership treatment. That should boost its investment appeal – and, for Ares, the numbers add up. The likes of Blackstone, with lumpier earnings, probably have less to gain. 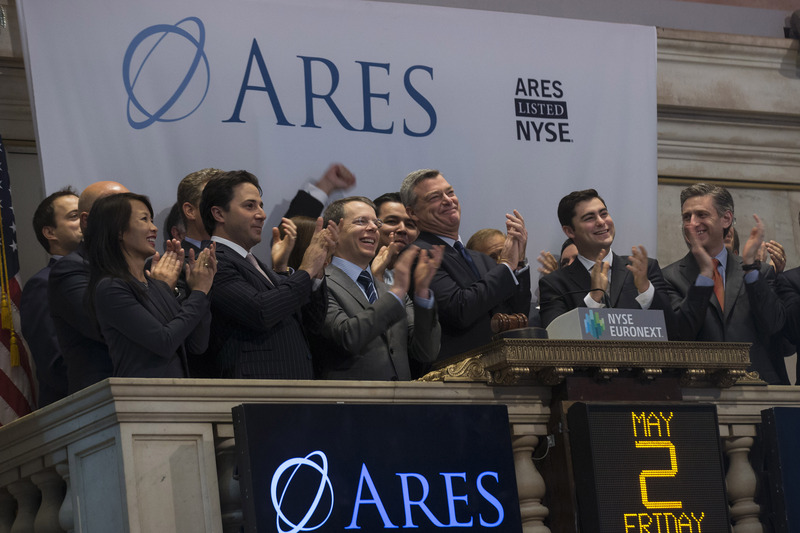 Ares Management LP CEO and co-founder Tony Ressler (3rd R, front) and company guests ring the opening bell at the New York Stock Exchange May 2, 2014. Ares Management on Feb. 15 said it would elect to be treated as a corporation rather than a partnership for U.S. tax purposes from March 1. The manager of $106 billion in alternative investments said it believed the change would broaden its potential investor base, improve the liquidity and valuation of its traded units, and give it a more attractive currency for making acquisitions. The company also said after-tax economic net income rose 23 percent in the fourth quarter of 2017 from the same period a year earlier, to $117 million. That exceeded the consensus analyst estimate of $98 million.